Two bedroom apartment for rent. Full kitchen, flat screen TV, free wi-fi throughout the apartment, rooms with one double bed, one single and air conditioning in both, one bedroom is en-suite. Bathroom with shower, private garage, condominium with swimming pool for adults and children, barbecue. Apartment not suitable for children under 5 years. Laundry with tank and clothesline. It is located in the upper taperatuan, quiet, quiet and safe neighborhood, a beautiful view of the sea. 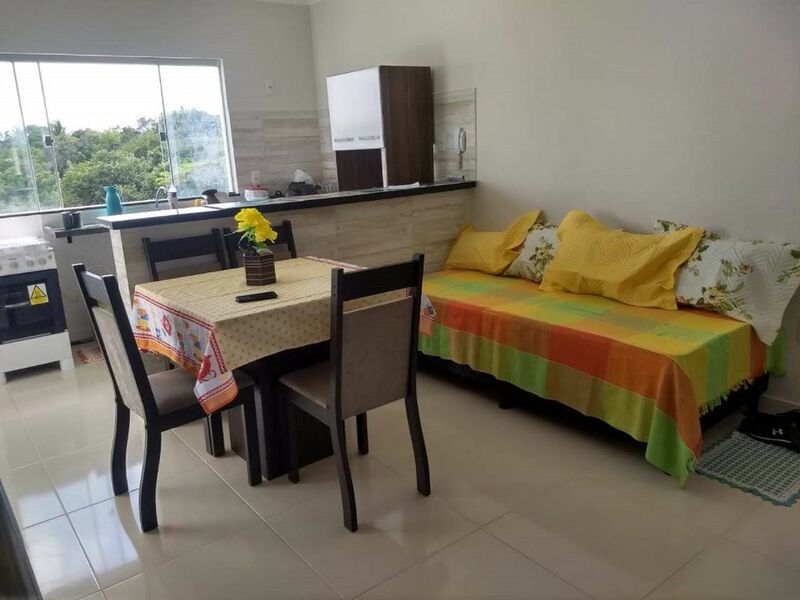 It is between Coroa Vermelha and Porto Seguro Center, so you can easily choose where to delight in the day.